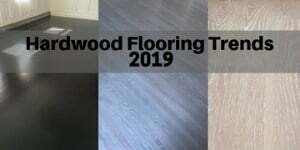 Now that 2019 has rolled around, it’s time to publish my annual report on Flooring Trends. This report covers all flooring surfaces including hardwood, carpet, tile, luxury vinyl and more. 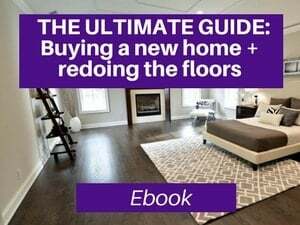 If you are specifically looking for hardwood flooring trends, check out this guide: Hardwood Flooring Trends which covers the trending stain colors, finishes and styles for wood flooring. Over the years, I’ve read a number of flooring trend reports and paint trends, and I have to say at times, I’m just disappointed. Sometimes, the reported “trends” are not really trendy at all. They are instead niche products and many products are often on the decline. (By the way, it does may me wonder if these writers are getting paid by manufacturers to push products or if they are just out of touch). Some of the paint trend reports also make me wonder…are they just trying to sell more paint? (I think we know the answer to that). I mean who really puts these paint colors in their homes? Some are just too bright and taste specific, and not practical at all. This report is based on real people in real homes and what I’m actually seeing people choosing and installing in their homes. It’s also based on thousands of comments and questions I get on my blog. Real trends for real people. When it comes to flooring, most people want something that is stylish and practical…and not something that is too trendy and may fade out in a few years. Flooring is the foundation for your home decor, and you don’t want to have to replace it every few years. Yes, hardwood continues to grow and it is the preferred surface in most rooms. 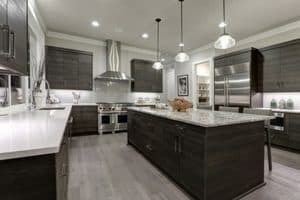 In fact, many homeowners are converting their kitchen floors and entryways (as well as powder rooms to hardwood floors (see: What is the best type of flooring for kitchens? 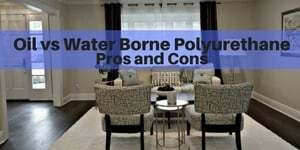 This covers the top 9 options with pros and cons for each). 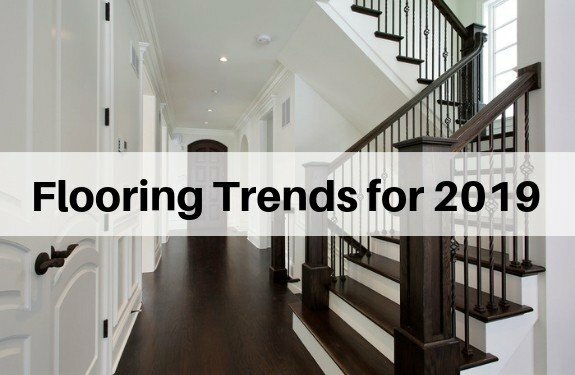 Here’s what’s trending with hardwood flooring. 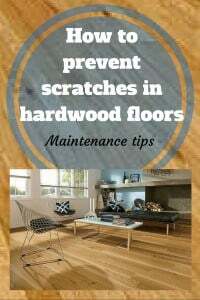 You can read more about hardwood flooring in my Hardwood Flooring Trends article. As further evidence of the trend and preference towards hardwood flooring, it’s super interesting that now we have more and more alternative products that mimic the look (and sometimes the feel) of hardwood flooring. The 2 biggest areas are tile planks that look like hardwood and Engineered Vinyl Planks that look and feel like hardwood. Both of these products are waterproof. So, they are often used in areas that may have water or moisture (e.g. kitchens, bathrooms, basements) and on top of concrete sub-floors where it may be difficult, inappropriate and too expensive to install solid hardwood flooring. The technology has gotten so good that it can replicate the look of real wood on to the surfaces. For an even more authentic look and feel, many have embossed grainy textures and distressed styles. And, it’s often more affordable to get these colors and looks in the “look alike” items. These products have been on the rise because they look like hardwood and they are waterproof at the same time. Cooler colors such as whites, grays, espressos are most popular. And, now the technology has improved so much that we see styles that are distressed and reminiscent of reclaimed wood, but updated in color and style for a blend of rustic and contemporary together. This wins the gold star for being the breakout trend for the year. Coretec Plus invented this new category 5 or 6 years and it’s been growing and breaking records each year. Early adopters loved it because it looks and feels so real…and because it’s WATERPROOF. It also has a cork underlayment for some extra cushioning and insulation. It’s an absolutely amazing product and technical breakthrough. Now the product has become mainstream and there are many knock-offs as so many manufacturers are jumping on the band wagon. The category continues to explode because it meets a real need. It looks and feels amazing, and it’s a floating floor which means that it can go on top of virtually any type of surface, including tile, as long as the surface is flat and level. Furthermore, for the handy do-it-yourselfer, this is a project you can do on your own. What is engineered vinyl plank? Cool colors and in and warm colors are out. This seems to be true both for flooring and paint colors (and yes, the two go hand in hand). Cool color tones include grays, blues, greens, etc. and Warm color tones include yellow, oranges and reds (think colors of the sun). As the preference for hardwood and other hard surfaces rises, the demand for area rugs also grow. Area rugs add design flair and often color to your room. They are often the centerpiece for a room. The most popular colors are gray, followed by navy as the base color. And, often many like to decorate with a pop color. One of the great things about area rugs is that you can always replace it with a new one (along with pillows) in the future and give your room a mini makeover for a very low price. And, while you’re at it, you may paint an accent wall to bring out that pop color for a unifying theme in the room. Over the last several years, I’ve seen more and more people asking about and gravitating towards more environmentally friendly finishes. In particular, many customers prefer Bona Traffic HD because it has very low VOC’s, has incredibly high durability, has low odor and also doesn’t amberize (i.e. turn yellow) like oil based poly does. I am also seeing a slight uptick in requests for monocoat or oiled finishes, but most are shying away from this as it’s higher maintenance, more expensive and doesn’t protect the floors from water/spills. While other articles state that there’s a trend towards cork, linoleum and other green products, I’m just not seeing that. There’s a minor uptick, but I would not call it a trend nor even a strong preference. These products are still rather niche and don’t have that wide of an appeal. 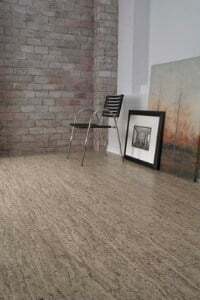 Cork and linoleum are certainly good options for some situations, especially if going green is a priority or if someone in the house has allergies or asthma. But many don’t like the looks of these products and instead opt for other flooring products that meet their needs and have wider appeal (e.g. solid hardwood flooring. What is the best air purifier if you have asthma or allergies? While carpet is still very prevalent, it seems to be on the decline and isn’t usually people’s first choice for main living areas. 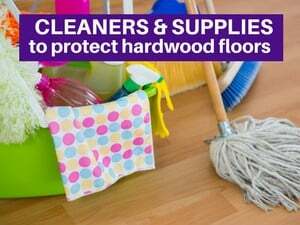 Instead the preference is for hardwood or other hard surfaces. Some people, especially those in cooler climates prefer carpet for the bedrooms and others prefer hardwood (it seems to be around a 50/50 split here in New York). But, the two areas that carpeting is high demand are 1) area rugs (see above) and 2) carpet runners for the steps. Carpet runners have become both an important fashion statement and also an important safety precaution. Now that people are ripping up the carpet on the steps, they notice that the steps have become slippery (and loud). 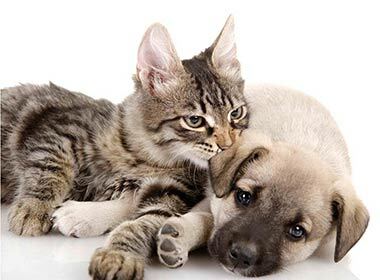 Carpet runners are important for everyone in the family including our 4 legged friends (yes, the most common reason for installing runners is for safety and comfort for their dogs). Runners are also important for toddlers, pregnant women, older adults…and well honestly everyone. 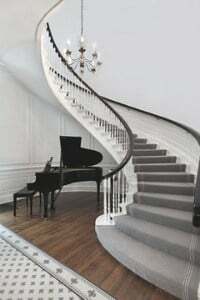 They will also reduce the noise in the house, cover imperfections in the steps (especially if you have an older home) and help avoid the need to refinish your steps. The other place where some families prefer carpet is in dens/family rooms and basements when these on on the lower levels of the home, especially if these rooms are on top of concrete slab. In cooler climates, the carpet will keep the area warmer. Interestingly enough, I’m seeing growth of carpet tile for these areas. 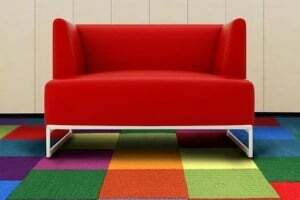 Sometimes, it’s fun and colorful carpet tiles for a playroom area. Other times, it’s more neutral colors. You buy extra carpet tiles so when areas get dirty (or worn down by the entryway) they can easily be replaced. Carpet tiles are a soft surface that acts more like a hard surface in terms of looks and durability. It’s unbelievable to watch this farmhouse style trend growing and blossoming. For years, there’s been a desire for nostalgia and return to a simpler life, and it’s exhibited itself in many ways. For the floors, it’s been more about a rustic and distressed look with wider planks and often reclaimed wood. Now, it’s evolved to softer and more subtle color palettes for the floors and walls. You see more grays and gray mixes and more subtle distressing (vs. previously, hand-scraped and warm colors were more popular. Anyone who’s seen Joanna and Chip Gaine’s Fixer Upper has seen her decor style as she’s brought things up a notch. 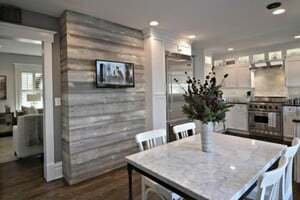 Before her show, almost no one had heard of shiplap, and now you see it everywhere, especially on pinterest, houzz and many online stores (see 8 ways to incorporate shiplap into your home for a modern farmhouse look). Now that people are adding more texture and visual intrigue to the walls, it’s even more important to keep the floors in the main living areas simpler for better balance. Hence, the more neutral colors and reduced texture on the floors. 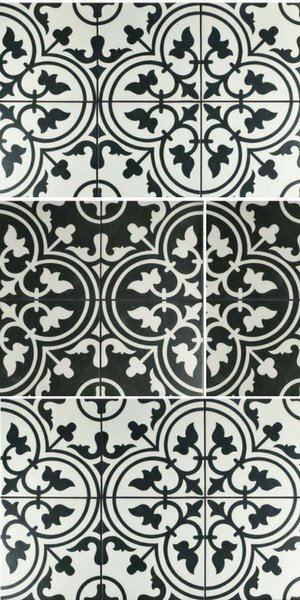 For smaller rooms, such as bathrooms or powder rooms, again inspired by Joanna Gaines, black and white tiles and mosaics are making a comeback. These are nostalgic and bring back memories of decades and centuries past. These bold graphic designs capture your eye as the pattern unfolds in front of your eyes. The patterns are delicate, flowery and geometric. I see them most often in bathrooms, but they are also used on backsplashes and small entryways. These tiles are sometimes challenging to find in local stores, but you can find a variety of these tiles as well as delicate black and white mosaics here on Wayfair.com. Or you can click on below pictures. While I’m on the topic of trends, I’m also going to share what’s out of style (or reverse trending). 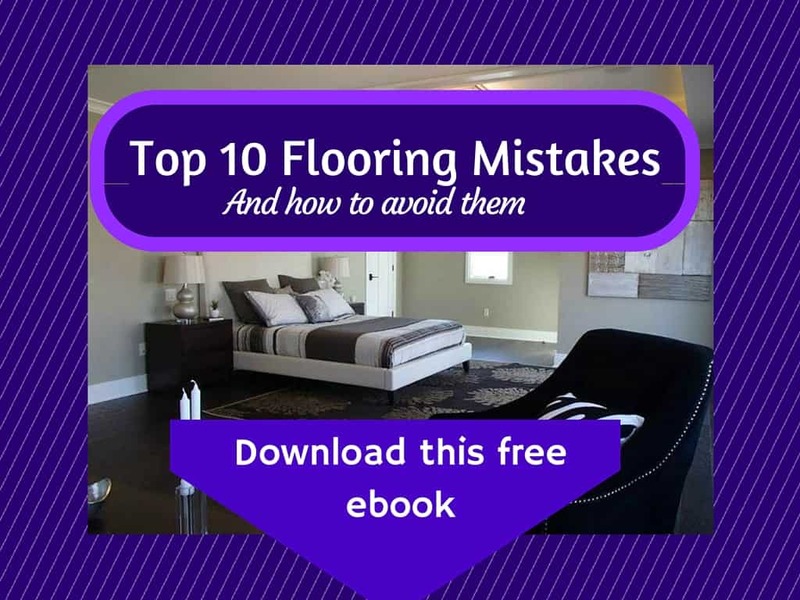 Many of these items mistakenly appear in floor trends posts (and note: these articles are not written by flooring companies…usually the flooring companies know what’s trending because they have first hand experience). Many of these items will date your home. And, you’ll also see that many of these are not very practical…and hence they are on the decline. Bamboo – Not durable. Scratches and dents easily. Doesn’t hold up to water. Parquet – Ultra dated. Separates over time. Looks sloppy and makes space look smaller. Reds and warm colors – These colors are out of style (but they may come back in a decade or so). These are harder to decorate with, too. Multi-width planks – Not practical as they will date your home. Most prefer clean lines and simple formats. 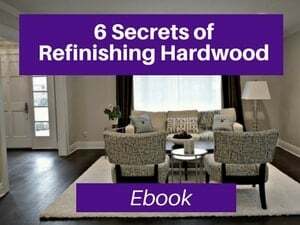 It’s easy to refinish hardwood and make it a different color, but the multi-widths will always be there. These will be like those multi-width pegged floors – dated. Multi-size tiles – These have been dated for a while. Wide grout lines – Very dated. Grout gets dirty and is more likely to crack with wider grout lines. These are the trends I’ve been seeing and they’ve all been growing over the last 5 years or so. Not only do I see these trends in homes, but I also see them on the TV shows, magazines, online decor sites. And, I can see these trends growing on the pages of my website. What’s your favorite trend? Leave me a comment or question below. Love, love your blog! We have new and 10-years-old red oak floors, and a combination of red & white oak parquet. 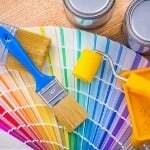 We do not want a dark, dark floor, nor do we want any yellow or red undertones, or any “trendy” colors (although personally I’m drawn to some of the grays, I’m practical and want it to stay in style!). My flooring guy uses Duraseal and I can’t seem to find a light or medium brown that doesn’t have yellow or red undertones on the red or red/white oak. Recommendations? To add to the difficulty, our kitchen has cherry cabinets that are reddish/orangish, and ideally the floor should be the same color, or at least coordinate with the rest of the floor. That seems to call for a yellowish or reddish, but I do not want to put that everywhere else as I want to decorate with cool tones. Any suggestions? Thank you so much! Tamara – Thank you so much for your kind words. I really appreciate it. Putting the kitchen aside, I would probably do a mid brown. When you go too light, the yellows and reds shine through. So, I would be inclined to do coffee brown or antique brown as those are stylish (and timeless) and dark enough to hide yellows/reds. I would also test special walnut. Sometimes special walnut is dark enough, sometimes it isn’t…varies on how your wood absorbs it. I would not go lighter than special walnut if your goal is drown out the reds/yellows. Regarding the kitchen, that’s challenging. Obviously, if you paint the cabinets white, that will solve the issue (even if you do it later). I have an article on here how you can do that, if you have an interest (just go to search bar and type in cabinets, and it will probably come up). I dislike having the kitchen cabinets set the color for the whole home. It’s like the tail wagging the dog. Alternatively, you could make kitchen lighter (e.g. go natural and use bona traffic HD for the poly so it will be as light as possible and the least amount of yellow. thank you very much! awesome blog. we are laying coretec pro plus on a concrete slab in the lowest level of a split level home ourselves. my husband is super handy! lucky me:) would you recommenced additional underlayment? Nancy – Great choice, and yes you are very lucky. Yes, I would definitely do an additional waterproof underlayment, since you’re going on top of concrete slab. If the slab hasn’t been fully sealed and/or if you get into issue with water tables and hydrostatic pressure, water can seap up from slab and would be underneath floor. 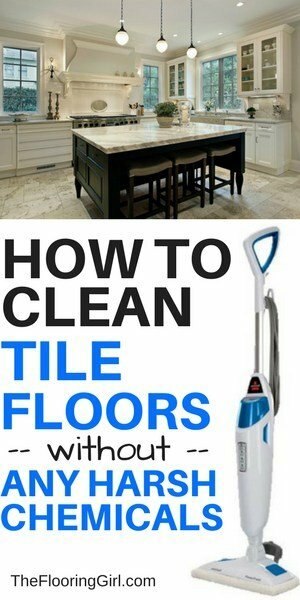 And, if that happens, you can get mold (the mold can feed on the cork…or other flooring surfaces as well). It’s much safer to prevent that from happening, so just do a thin waterproof layer of film to act as a barrier. It does not need to be expensive or thick…just waterproof (and taped) so it’s sealed. And, just to clarify, Coretec plus is water proof from above, but water can seep from the slab underneath it…or any other flooring, so this underlay protects from below. Thank you for a true insight to the trends. We are finally getting ready to do the floors. We built in 2004 and feel like we have moved though 4 major trends. Super glad we waited till now so we can use the technology of the laminate wood look. We can’t do hardwood due to termintes! Arizona…. and we find tile just to uncomfortable. Thank you again and keep up the great work. 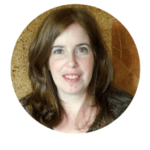 Tania – Thanks so much and glad this info is helpful. I believe the Coretec Plus should be a good option for you (or something similar), but double check on the cork underlayment. If the cork is an issue for termites, then look for a coretec look alike with an alternative backing. Avoid laminate (which has recycled wood in it). Chris – Right, I agree. It’s definitely dated here. Also, it’s not the safest option and most slate is rough, so you are more likely trip and more likely to get hurt if you trip. For years, I’ve been having customers remove slate from entryways. That being said, some gray slates work well around fireplaces. I am getting ready to put down new flooring thoughout my whole house. I have picked out coretec axial oak. Its a light gray wood panel laminate. I love the color. My only dilemma is the kitchen. The cabinets are white which look great with the floor but the counter is granite in warm colors. Browns, creams, black and a little gray (shadow) look. Should I just go with the floor I love or try to match the floor to the granite? Lyn – It’s hard to say as I can’t see it. In general, I prefer the same surface in all areas…makes space look larger and more cohesive. I would not do 1 coretec for most of area and a different one in kitchen. It think that will will look kind of cheap and disjointed. I would be more inclined to do 1 color across (and choose one that you feel looks best…ideally with it going with counter tops). OR, I main color for most of house and then do a tile in the kitchen that goes with the counter tops. Also, I’m not sure if you love or hate the granite. Another option is to change the granite…IF you don’t like it. You may not do that now, but you could do it in a couple of years or something. So, just plan ahead on all that you’re doing. Love your comments on painting trend and your great suggestions. Floor: Understand your advice in cool color but not sure darker or lighter if matched with darker furniture/cabinets in the living room. Wall: Preferred to use wall paper. 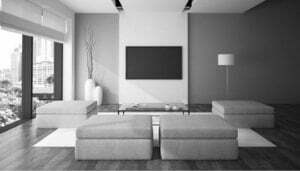 If floor color is gray, wall paper also gray and furniture darker gray. Will that be too much of gray? Fireplace: If I want to install a fireplace, the artificial type and this will make the living room cozy. Does a fireplace go with a cool living room? Francesca – Thanks so much. I appreciate it. In my opinion, gray on floors and walls is too much. You could however, do gray wallpaper on 1 an accent wall, and that could look really nice. Regarding fireplace, if you use cool color stones, it can work. But, I’m not a big fan of fake fireplaces. They take up space and often look tacky. BTW, I do offer color/stain consultations and happy to set up a phone consult, if you have an interest. Let me know. Love your suggestions! We have a 1950s house with varnished oak floors in most rooms. I see these oak floors as orange. We are re-flooring the kitchen (previously linoleum) and dining room (carpet) and because of the traffic pattern I think tile would be best. My dilemma is color. I really like the wood look tile, but I don’t want it to look like I tried to match the hard wood and missed! What do you think of a grey wood look tile next to the oak? Yes, we are on same wave length, Cindy. If you’re going to do tile, contrast it with the wood. Gray or white wash can work well…pending on what you like and the color you ultimately plan for the hardwood. I just stumbled across this blog, kudos on incredibly informative content! I have a couple questions. I just purchased a home with a fairly warm, red/yellow engineered hardwood on the ground floor and stained wall-to-wall carpeting in a downstairs dining area and the upstairs. We are thinking of darkening and reducing the warm tones in the existing wood, either by sanding and staining or a “Mr Sandless” refinishing with darkening, and then trying to semi-match upstairs with either engineered wood or luxury vinyl. 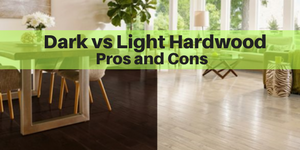 We notice the Home Depot and Lowe’s engineered wood product get pretty rough quality reviews. Any tips about how think about our options? Thank you so much for your kind works. That means a lot. Regarding whether your wood can be sanded and refinished depends on thickness of top wear layer. You’ll need to have someone local look at it. It will need to be fully sanded and finished to change the color, especially in your case. I would doubt that “Mr Sandless” would be able to help you here. The floors need to be sanded not just darkened. Unless you get the poly and color out, nothing will penetrate nor last. Now, if they offer sanding and can do it well, that’s fine, but you need to sand the floors, regardless of who does it. And, if you use them, check their reviews VERY carefully. 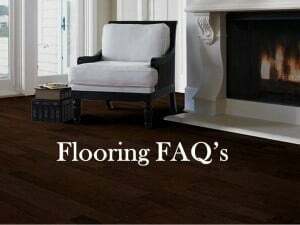 I have not heard good things about them and have had many customers regret the decision and they just needed to redo the floors a year later. Upstairs, I would see if you can do a solid hardwood (i.e. 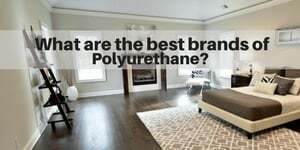 do you have plywood subfloors?). 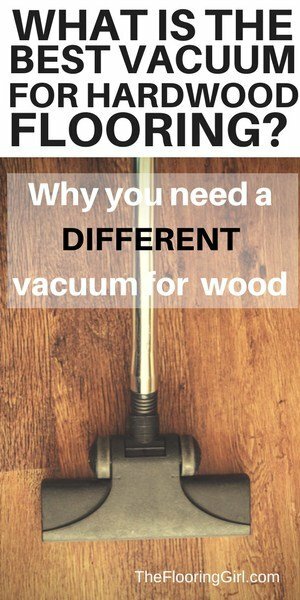 That will last much longer and may in fact cost you less or about the same as an engineered hardwood. And, yes, I would avoid Home Depot or Lowe’s engineered wood. Those are generally super cheap and not durable at all. Most have paper thin wear layers and you can see this if you look at the profile. You get what you pay for. If you get solid hardwood, it would be less of an issue of you buy there. But, yes, the engineered wood is low quality. They are catering to a less sophisticated, less knowledgeable audience…and an audience on limited funds. Pay a little bit extra and your floors will look better and last MUCH longer. Bear in mind that a good quality engineered wood costs MORE than solid hardwood. So, if you can do solid, do that. It will last longer and cost less. 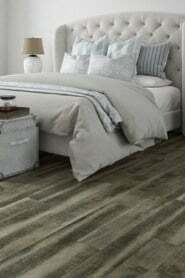 Also, do you recommend any resources/reviews for comparing various luxury vinyl flooring products? It’s hard to get a sense of comparative quality! Niccolo – Oh, I’m not sure about that. 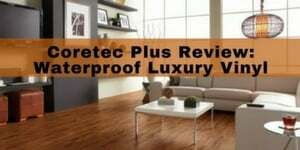 I know that Coretec Plus is excellent and high quality and we’ve used for year. My 2nd choice would be Armstrong Rigid Core. I would avoid Home Depot’s as that is not actually waterproof (even though they claim it is). And, I would avoid any cheap brands – that’s a sign of low quality. used your advise and put in wood look tile in dark color, but what about the bedrooms? No carpet please. Denise – If you don’t want carpet, then your choices would be 1) continue tile into bedrooms (provided you live in a warm in environment), 2) add luxury vinyl plank that looks like hardwood (like coretec plus), 3) hardwood or 4) laminate. If you’re going to change surfaces, you probably want to contrast the color with dark because you probably won’t be able to match it exactly. If you have a plywood subfloor, then my top pick would be solid hardwood as it’s the best option and improves the value of the home and will last the longest. 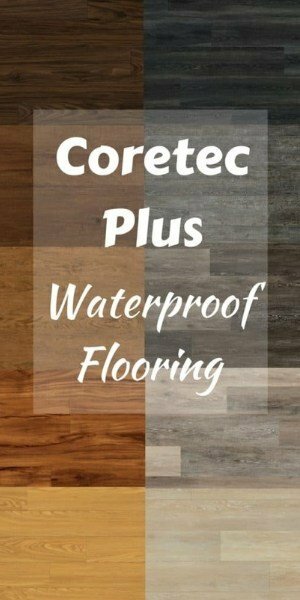 If you have a concrete subfloor, I’d probably do Coretec Plus as it look great (much better than laminate) and a bit softer, more comfy on your feet…and still a good budget item. Hi thank you so much for this info. I want to do an Engineered Vinyl Plank in our whole house. What I DON’t like is the “busyness” of the pattern repeat sometimes. It’s very hard to tell how busy a patter will be. Any suggestions of brands or color? i want to do a medium rustic brown with grayish undertones. I appreciate ANY help with this issue. Michelle – I personally like Coretec Plus Boardwalk Oak for that. It sounds like you will be better off after you find a style/color you like that you should order a full box and lay it out both to make sure you like it and to allay your concerns about it being too busy and pattern repeat. Coretec pLus seems to be pretty good about low pattern repeat. I would venture to guess that if you have a cheaper brand, there is more pattern repeats. Have dogs , too old to keep cleaning carpet. Want COREtec in kitchen and rest of home . Have cabinets in mid tone oak, not yellow. Would cortec make my house look cheap used every where. I would use some area rugs. Gail – I don’t think that Coretec Plus looks cheap at all. (Laminate does). Coretec Plus is a huge upgrade vs carpet. Now I do think solid hardwood looks even better, but Coretec Plus is an excellent choice. And, yes, definitely use some area rugs. That’s best for the dogs. Linda – I would match the species (and grade), so go with red oak. I think it’s fine to go wider below if you like as it will make the space look larger and save you money. I would not change the species as it won’t match and will never match no matter what stain color(s) you use now or in the future. It’s easy (and not that expensive) to sand and refinish both areas (even if they are done at separate times) to match. You can change whichever color you want as well as finish. Do not go with a glossy finish. It looks dated and is much harder to maintain. It shows scratches, dents and dirt more. Later, you can either refinish the upstairs or screen and recoat to match the finish. I’d paint the orange pine as it’s very dated and not same species as floor and makes it much harder to find paint colors. I have 1 1/2 red oak select in front of house (foyer, LR, DR) and would like to add hardwood in back of house(kitchen, family room, hall and master bedroom) on same floor. These two areas do join with a cased opening foyer/hall and kithchen/DR. Is it okay to go with species and grade but larger width? Or should I stay with same width? I am updating to sell and I am struggling to visualize this decision. Vivi – LOL I just answered this question for someone else earlier today. Yes, you can do that as long as you stick with same species/grade. I would do 3 1/4″ inch as that makes your space look larger and looks better next to 1.5″ (rather than 2 1/4″). Buyers prefer 3 1/4. Usually, it’s only a minor price difference between the two, but the visual impact is large. And, both are significantly lower vs. 1.5 inch. I see this done often when people have 1.5″.